After the success of Invincible and the Walking Dead, Robert Kirkman decided to launch his subsequent ongoing series, the Astounding Wolf-Man. He gave the first issue away for free in that year’s Free Comic Book Day Event. 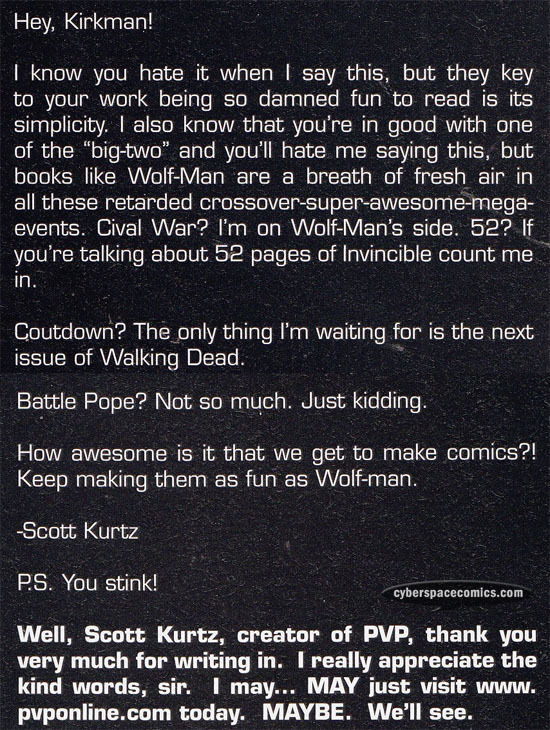 In the letters pages of the second issue (cover date – July 2007) , we get to see Scott Kurtz‘s reaction! He’s best known for his creator-owned series, Pvp. Here’s a look back at the previous month in online comic sales.